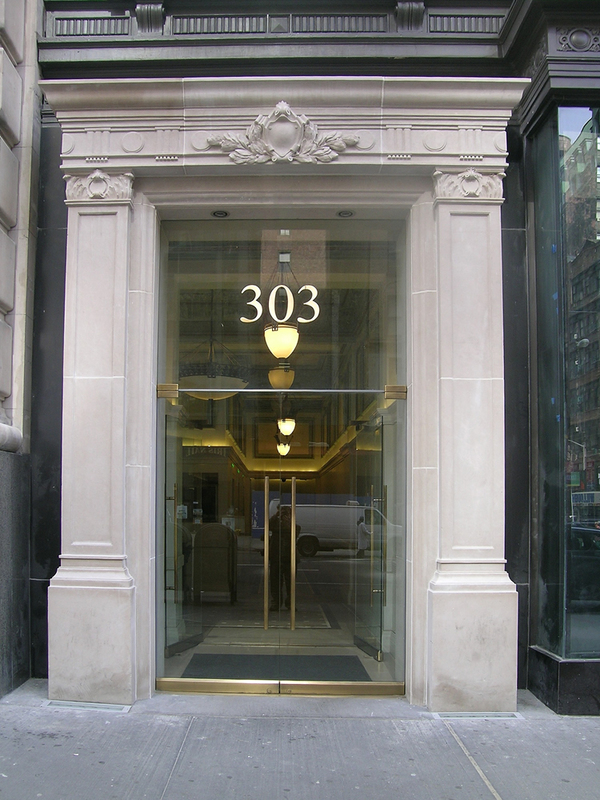 This limestone doorway surround is a beautiful example of architectural stone carving. 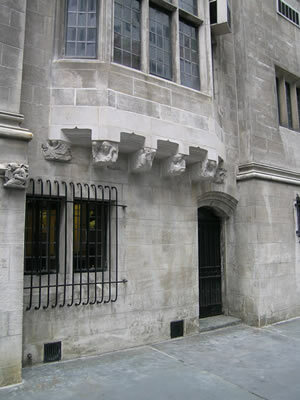 It was carved to replace an entryway that had suffered many years of damage. We made every effort to assure that the sculptural ornament would be consistent with the original design of the architecture, which dates back to the early part of the 20th century. 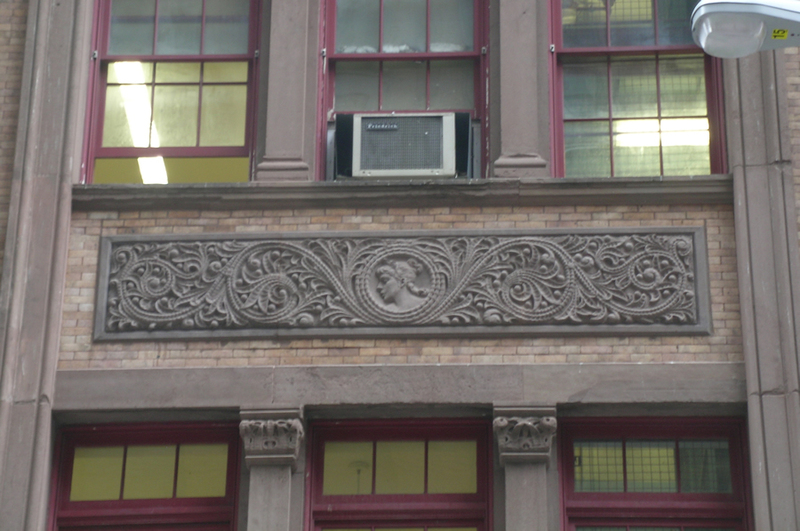 The stone carving of these gothic limestone corbels and arches can be seen on 53rd St. in New York City, NY. These architectural corbels were reproduced for one of America's most valuable gothic revival churches. DMS Studios was asked to supply both the plans and stone carving for this historic site. 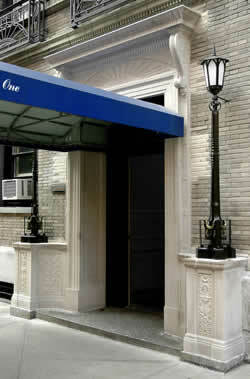 Brownstone Stone Carving for Jackie Onassis High School, W. 46th St. NYC. 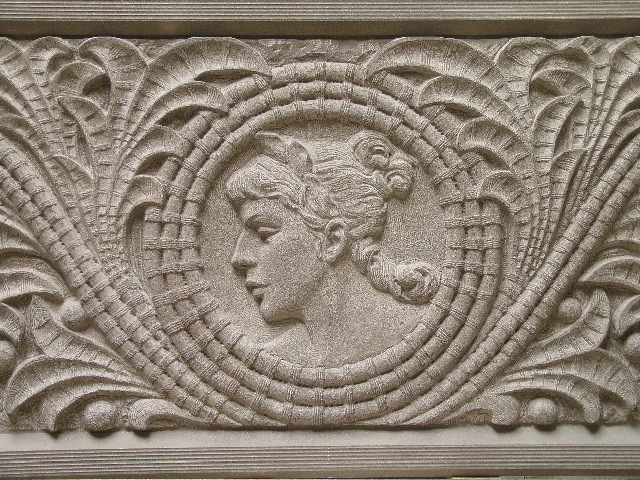 DMS reproduced and recarved a deteriorated antique architectural brownstone stone carving. Originally done in the early 20th century. 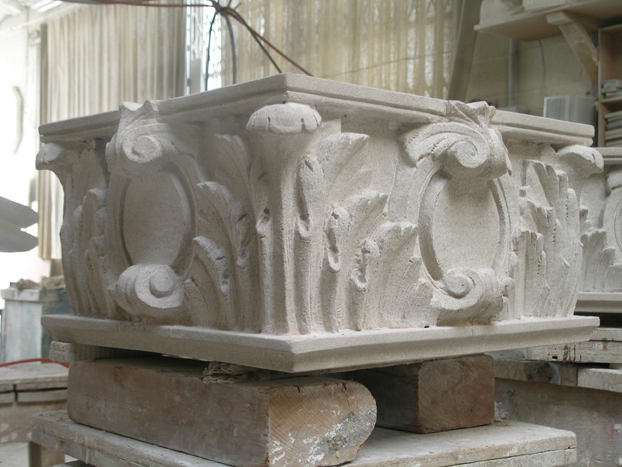 The limestone capital above is a shot of the hand-carved limestone capital seen in the stone carving studio before installation. 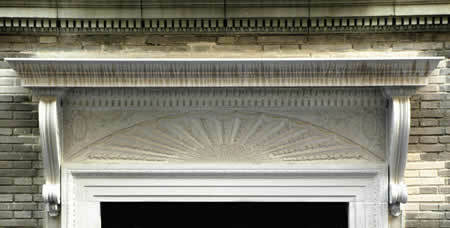 Capitals such as these add to the over-all, majestic quality, of an architectural limestone entryway, as you can see in the photo here.